← NaNoWriMo – Is it Impossible to WRIte a NOvel in a MOnth? The press release is a specifically formatted and written document you submit to free or inexpensive public relations related sites. The press release is designed to highlight a particular event. It could be to announce the release of your web site, signing the big book deal of the century, or an award you have won for your work. Make the press release about something interesting to someone. Editors in all types of media are dying for new content and someone somewhere will pick up your piece. Most media websites (newspaper, radio and TV stations) are well trafficked and have a high Page Rank. By picking up your press release they may edit it a bit, but they will keep your contact information intact. You now have a link from a well trafficked, high Page Rank site to your site. Google will think you are cool! When you complete your press release think of where you want to release it. You can of course use the larger free-for-all public relations sites and you are likely to get some results there. However, be sure to target local sites and resources as well. Did you win an award or publish a new book? Launching a new web site or releasing a new series then by all means alert publications in that industry. Don’t go overboard. If you are doing press releases more than maybe a half dozen times a year then you are doing it too often. Sure IBM can crank these out all the time, but they have a lot going on. Do a press release on something of note and you will get exposure. Be sure to put all of your press releases on your website, you never know when someone will pick one up from there and publicize it. If you are not familiar with writing a press release then get to know the rules to the formatting and basic layout. 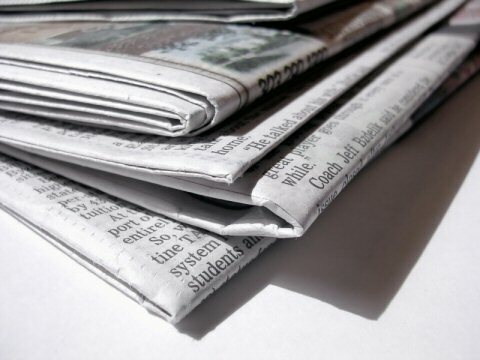 Media Syndicate Submission Service– This is a free press release submission service. All press releases are reviewed by human editors prior to posting, so be aware it may take a few days to a week for posting. If you like the services they ask for a donation. PRWeb– If you are serious about using a press release as a tool then this is the place to go. It is not free, prices range from $80 to $360 depending on the degree of exposure you want. This is a high Page Rank (7) and high traffic site (9,100 or so) so this will provide a boost to your site. Press releases can be an important part of the platform building process. It definitely helps create great traffic opportunity for your site! I am an editor, book coach, and freelance writer. This entry was posted in audience creation, author platform, Author Promotion, marketing, marketing strategies and tagged press release, writing a press release for platform building. Bookmark the permalink.